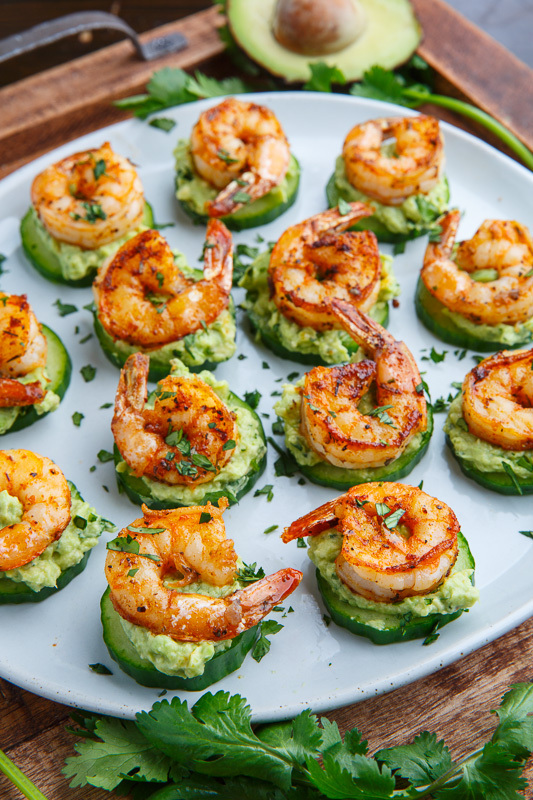 The Big Game is quickly approaching and I have been pulling together some recipes for my game day party menu and these blackened shrimp avocado cucumber bites are high on my list! Not only are they super tasty but they are also nice, light and healthy and they only take a few minutes to make! 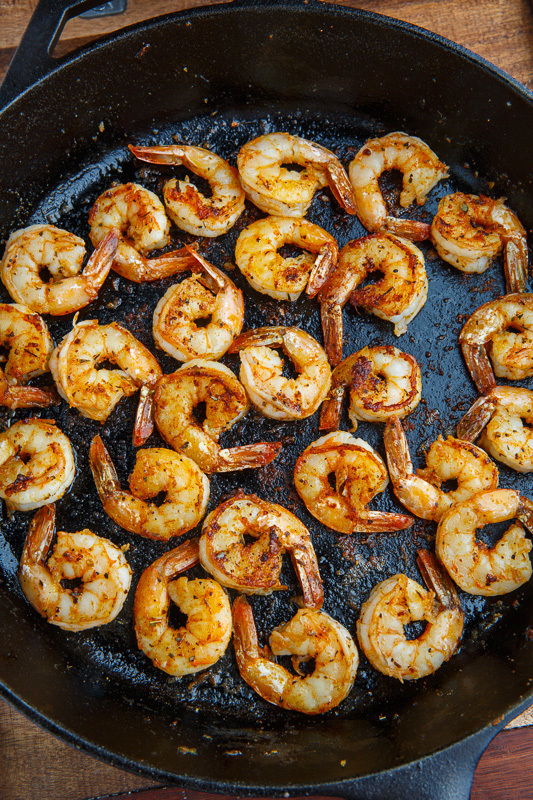 You simply “blacken” the shrimp by seasoning them with creole seasoning and searing them in a cast iron pan over high heat so that they cook in no time, getting a nice light blackened sear on the edges while still being succulent on the inside! 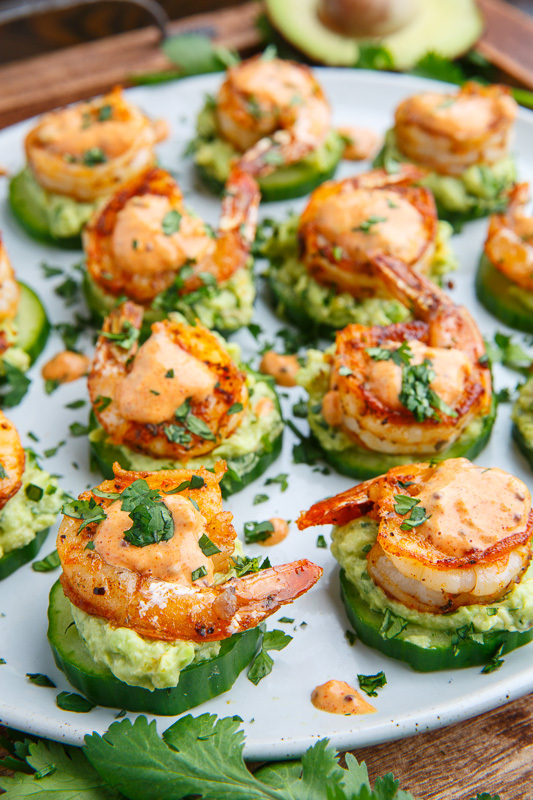 The spicy shrimp is then served on top of crispy and cool cucumber slices along with a creamy avocado sauce that is the perfect combo of flavours, textures and temperature! I like to serve these shrimp in a tasty remoulade sauce to kick things up a bit more, but it’s completely optional. 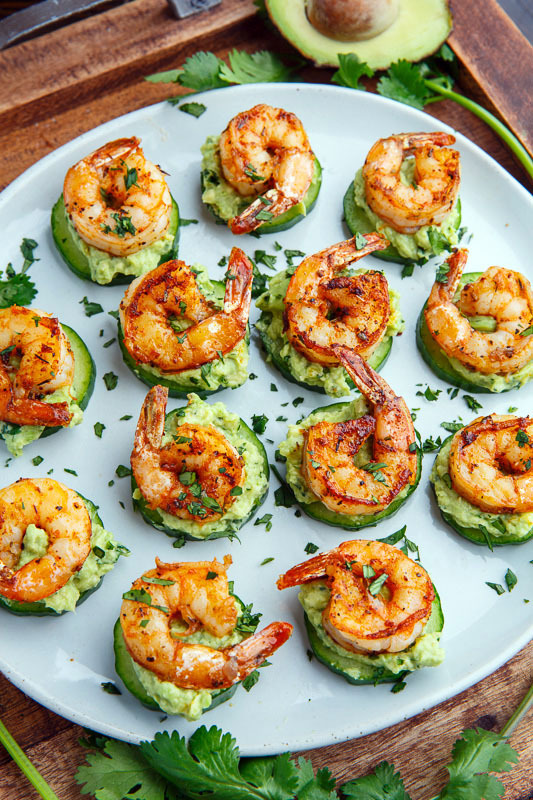 Whether you are serving these blackened shrimp avocado cucumber bites at your football playoff party, for some other sports event or for entertaining guests or even (I’ll admit it) as a light meal, they are sure to please! Kevin- you never disappoint! 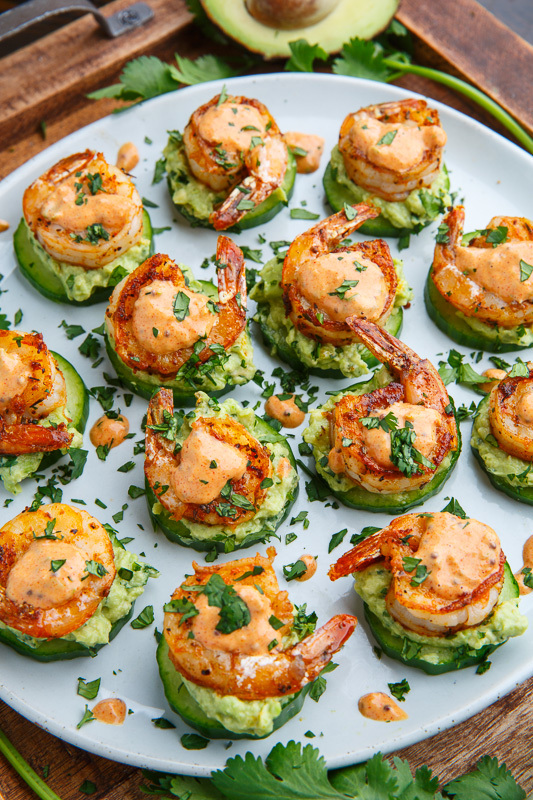 These are so up my alley, I am ready to make these for dinner tonight! 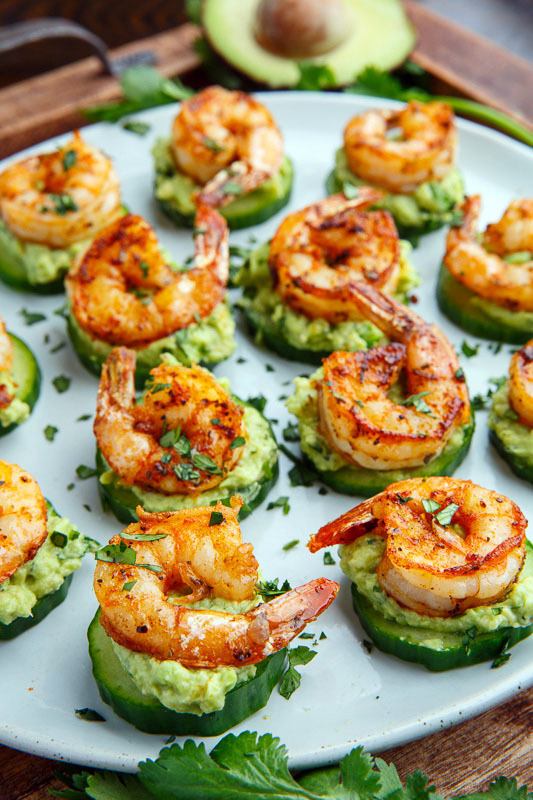 These appetizers would not last long on any party table! What entree could you serve with this as an appetizer? These little gems are perfection! They practically melt in your mouth. The burst of flavors and textures is wonderful. Thank you Kevin. Between these and your Maple Candied Bacon, I will never be the same! Are these ok at room temp? Are they chilled? Wondering how they'd do sitting out with the other appetizers. They look amazing. Thanks! muv666: These are good at room temp! Enjoy! Would love for you to checkout the rest of the list if you get a chance.